From the famed West End to the birthplace of Mozart, on our European music tour students will be immersed in music history as they make their way across England, Germany and Austria. Beginning in London students will enjoy visits to the London Symphony Orchestra and the Royal Opera House before undertaking various music workshops. Afterwards it’s onto Berlin where students will enjoy a visit to the Music Instrument Museum before visiting the famous Hansa Studios where the likes of David Bowie and U2 have recorded. 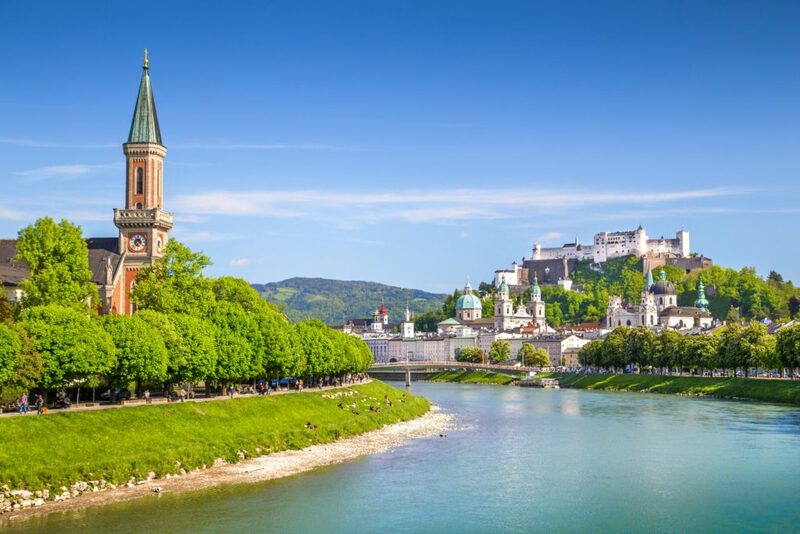 Finishing up in Austria, students will follow in the footsteps of famous composers Mozart and Beethoven as they visit their hometown cities of Salzburg and Vienna. For more information on this tour, contact our performance tour experts! On the move Transfer to Liverpool by coach. Music exploration Enjoy a tour of the House of Music. The 6 floors of the museum explore all forms of music and sound. Music is not just for listening to, as you can experience many hands on displays. Thank you for your interest in our WorldStrides European Music Tour Tour! Please tell us a little more about yourself so we can get you sent to the right place.